Transform your home and enjoy your outdoor lifestyle no matter what the season. 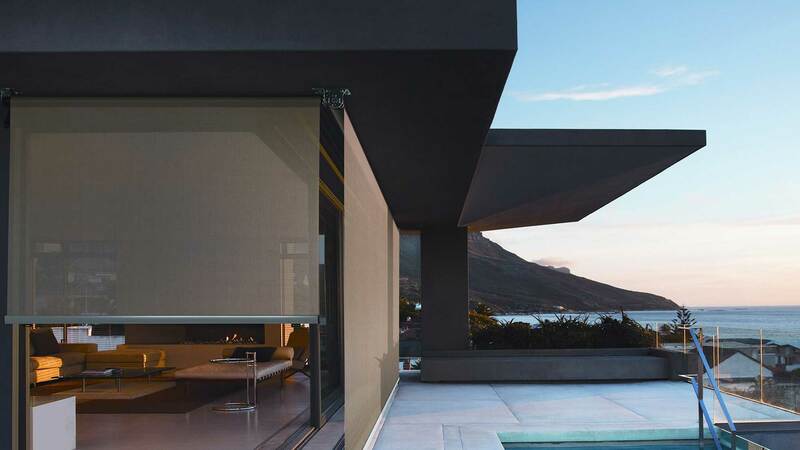 Create a new space in the house by enclosing that outdoor living area and maintain that garden view with an outdoor awning or blind from Co-Create Home Solutions. When it comes to Outdoor blinds we have it covered (literally) with over 2 decades of industry experience we understand what people go through when looking for that right fit for their home. 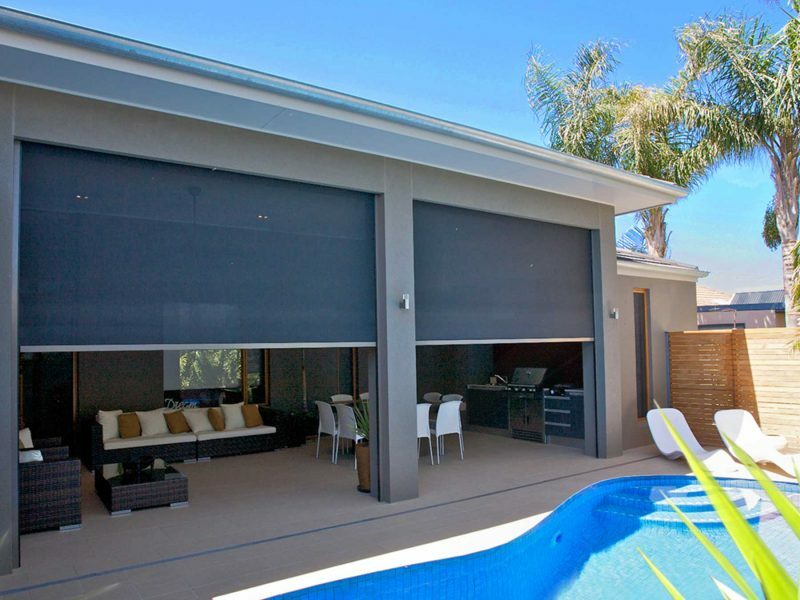 Where it’s balancing an affordable price, getting the right measures or making sure it’s going to protect you from the sun while looking stylish our Adelaide Outdoor Blinds specialists will give you the best price form the start. No matter what industry dealing with an expert team like ours will make your life easier. 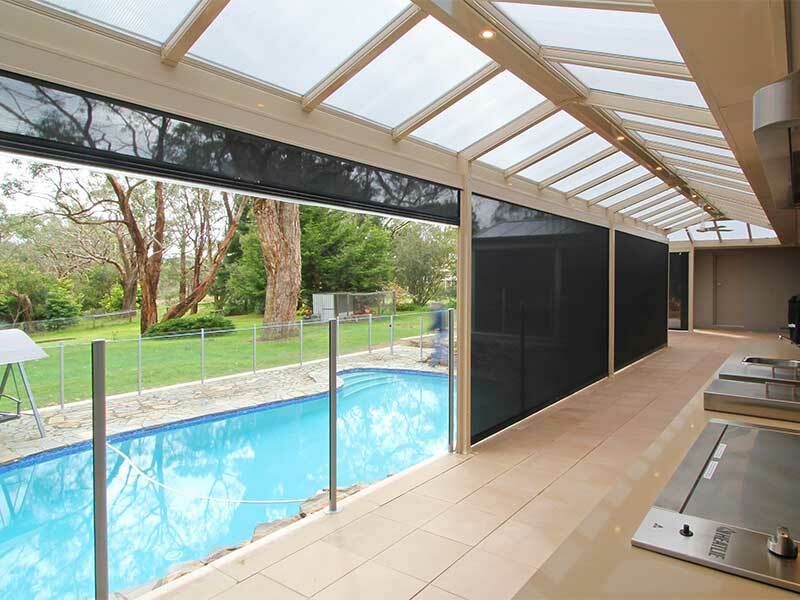 Extend your outside area with the stylish Ziptrak or Zipscreen blind for all year round entertaining. Zipscreen & Ziptrak blinds funny enough don’t have any zips but they do have a great level of protection to stop the elements and ensure your comfort as you entertain. 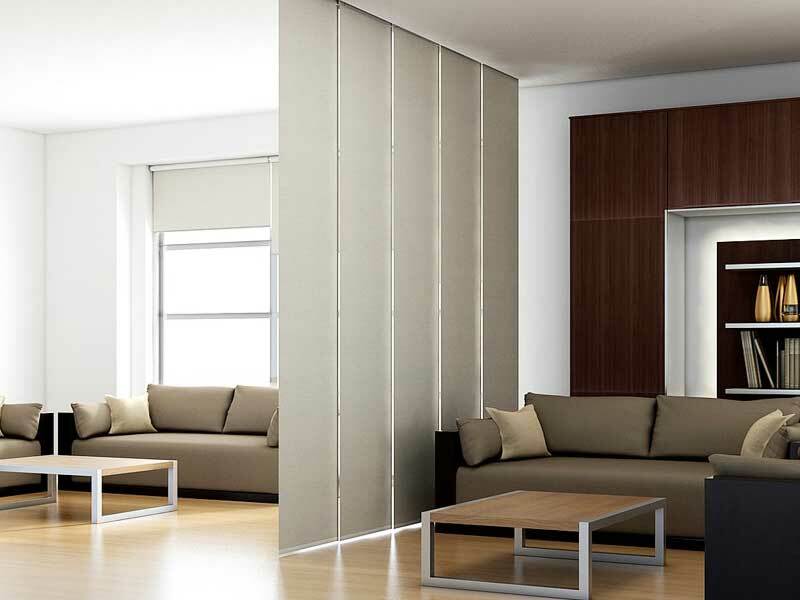 Co-Create’s Ziptrak and Zipscreen blinds are available in an extensive range of fabrics and colours to suit your home. You can choose between spring, crank or motorised operation. 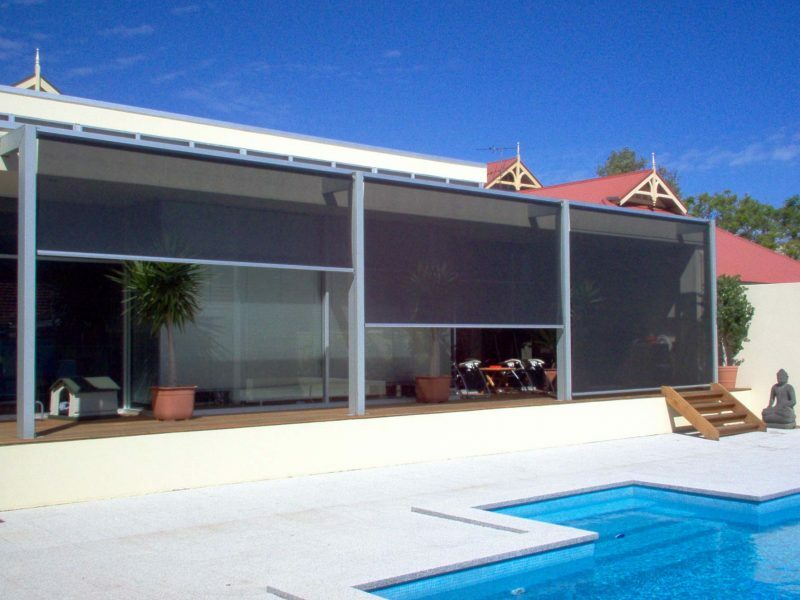 When summer is here so is the heat, there is nothing better to reduce the heat for your home and entertaining areas by installing Outdoor blinds in Adelaide to protect you from the sun without blocking your view. 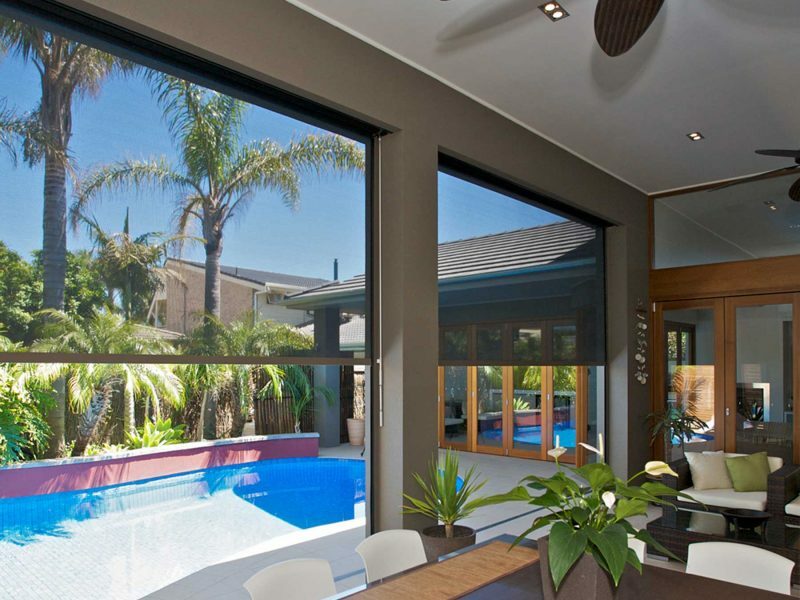 We at Co-Create have a team of professional home solution experts are ready to help you turn your outdoor area into a home paradise with one of the largest ranges in Adelaide to choose from. 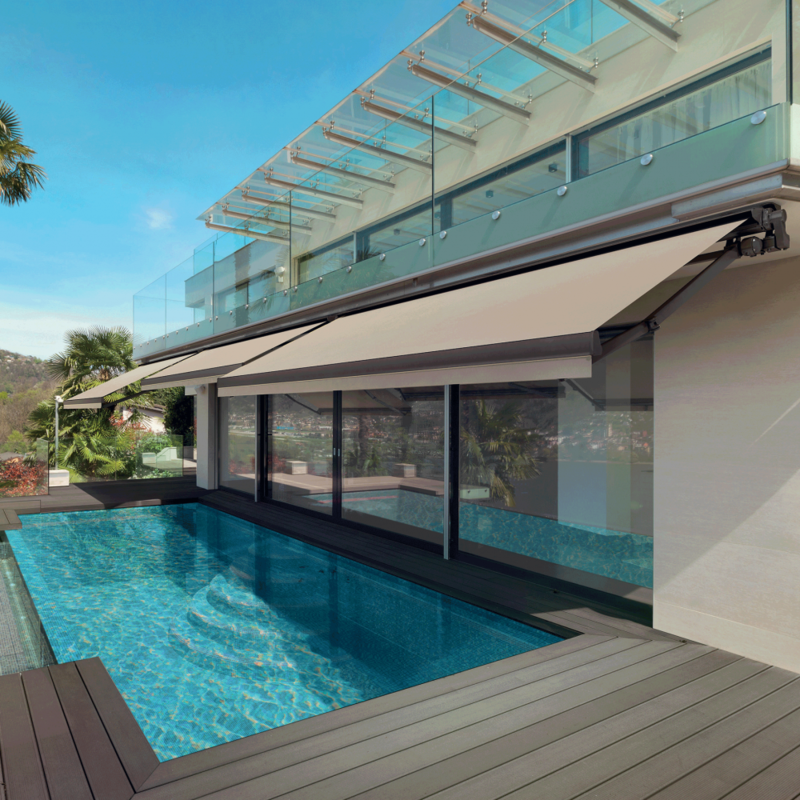 Straight drop awnings are the most flexible exterior option. 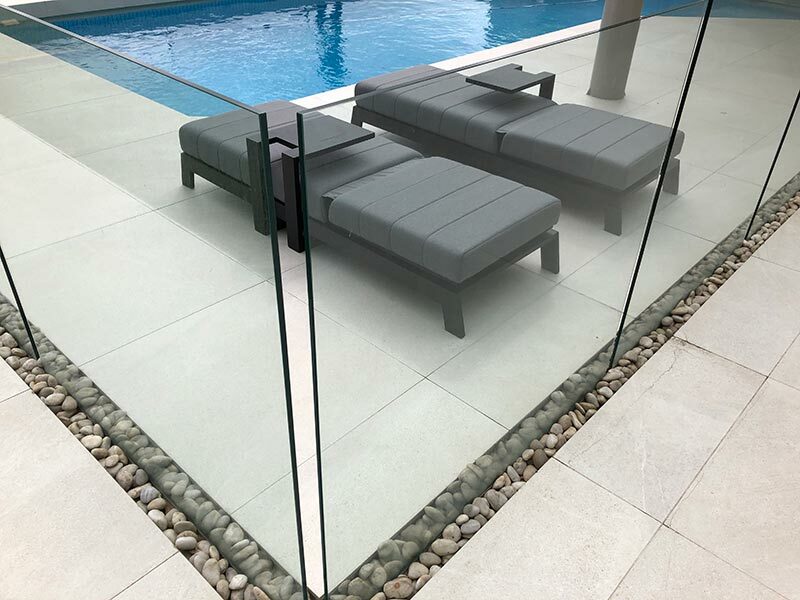 Perfect for enclosing pergolas, verandahs or fitted on balconies. 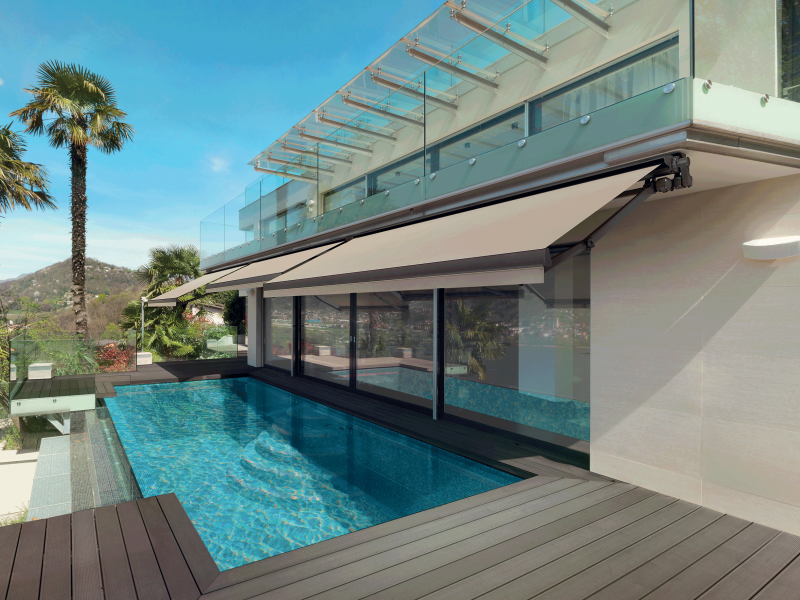 Straight drop awnings can be spring or crank operated and you can choose from our extensive range of fabrics & colours allowing you to achieve the right feng shui for your home. When you want them now, Why wait? With fast turnaround times from measure and quote to installation, we will get your home stylish and protected in no time. 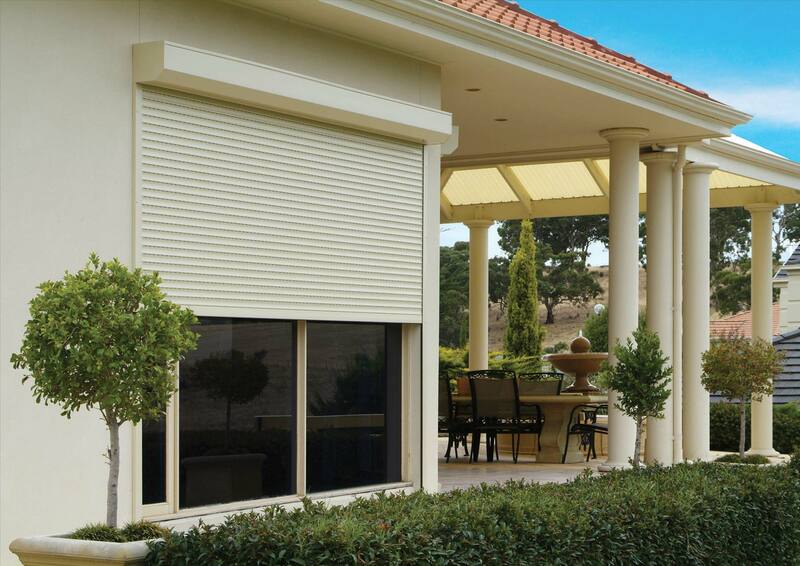 Forget the days where you are put at the back of the line we have guaranteed 10-14 day turnaround times on all Adelaide outdoor blinds and some regional areas. That means you can kick back and relax faster which is sure to impress. Wire guide awnings are some of our most popular products on the market at the moment as they offer a very stylish and practical look to your outdoor area. 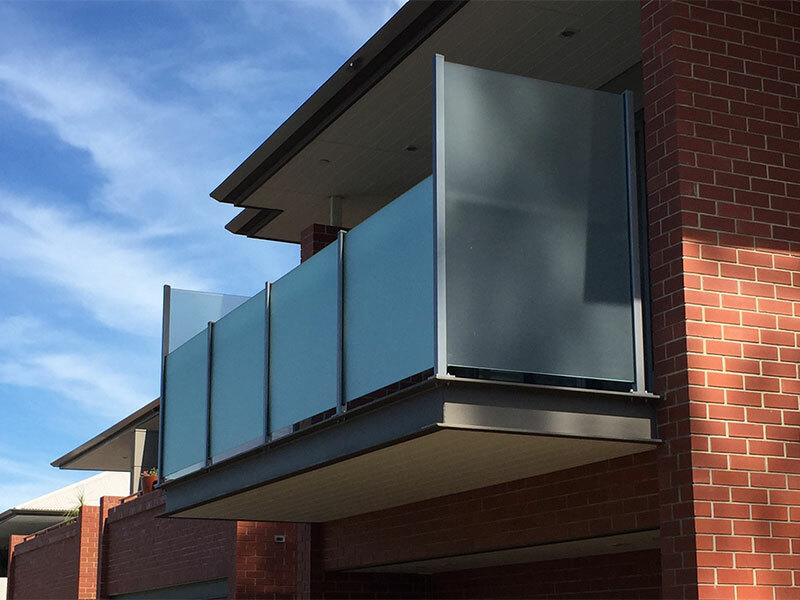 The benefit of the wire guide system is a smooth operation allowing you to stop the blind in any vertical position without it moving in the breeze. That means no freakout moments when the northerly winds arrive your awnings with be safe and sound and still looking good the next day. 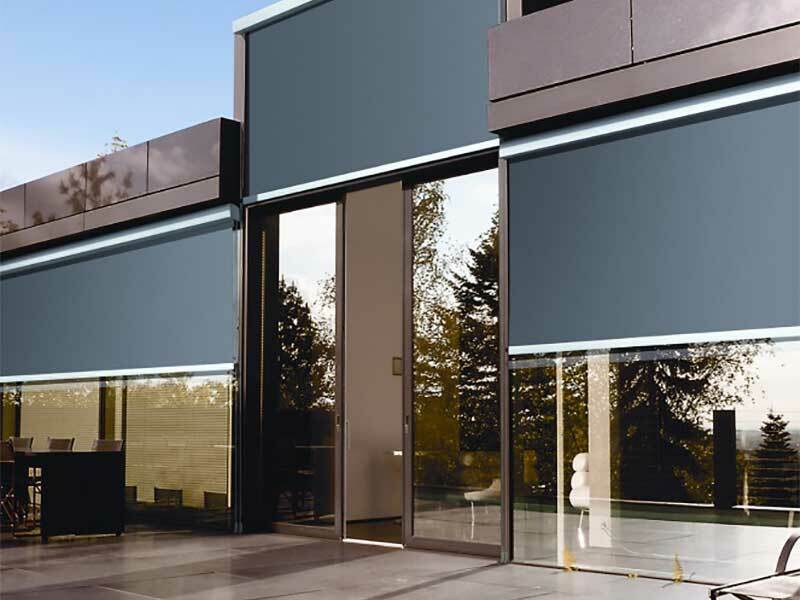 If you haven’t already realised we have an enormous selection of external blinds and shades to choose from with all the colours to match your desire and the ability to fit almost every window or space you can think of. It’s no secret that Co-Create has created the perfect range of the best and cheapest options available in the Australian market making life easier for you. 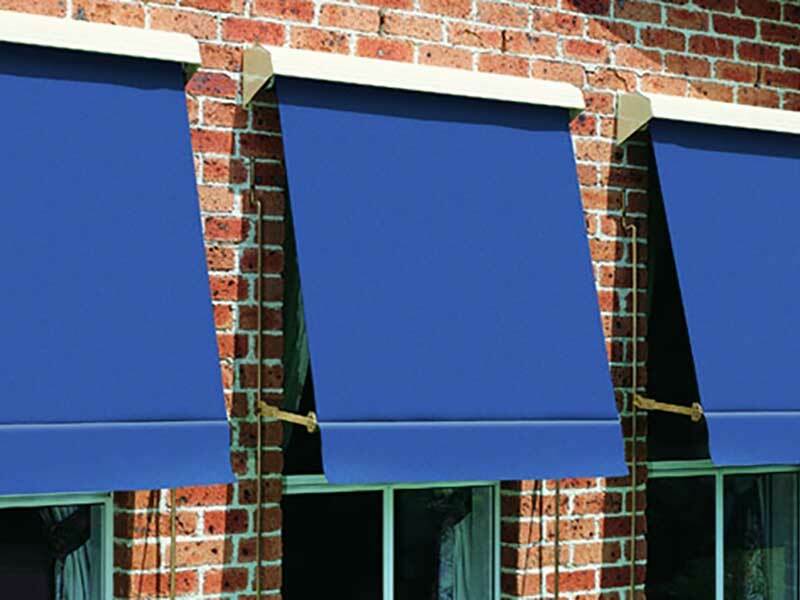 Take a look at our traditional pull down sunblind to help protect and shade your living area. 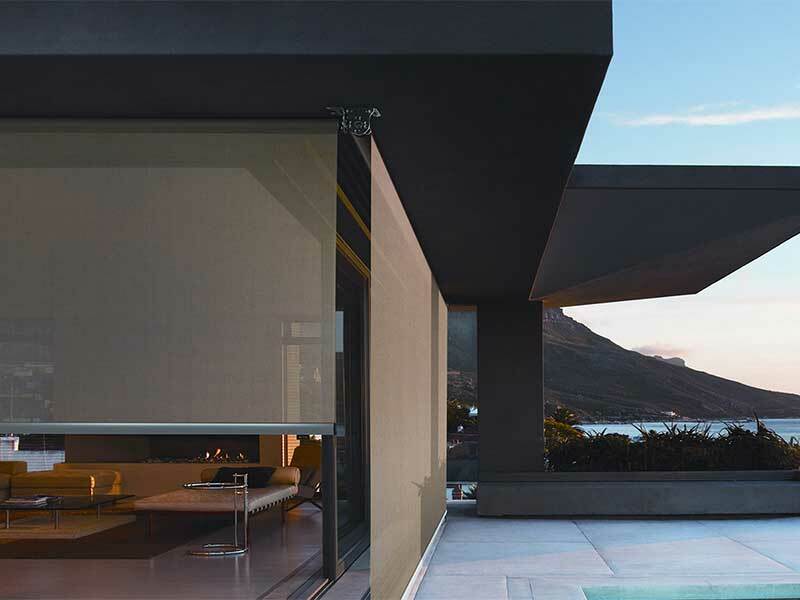 Auto sunblinds can easily be operated manually on any ground floor window and of course, come in an extensive range of colours and fabrics from block-outs to sunscreen options. So you can block the sun without blocking your views. Like our Pivot arm awnings. 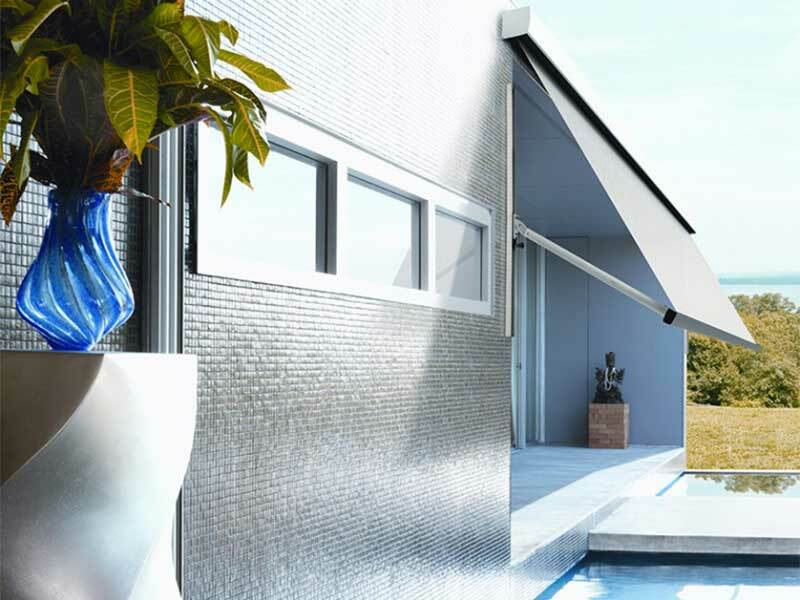 These stylish awnings will help you stay cool on those hot summer days by helping you to shade your windows while still allowing a cool breeze to pass through. By pivoting in an arc these awnings are able to cover a large area but still allowing you to open your windows when required. So what do you say? Let Co-Create your home paradise today… Oh… and don’t forget we can offer *12 Months interest FREE*… so give a call!